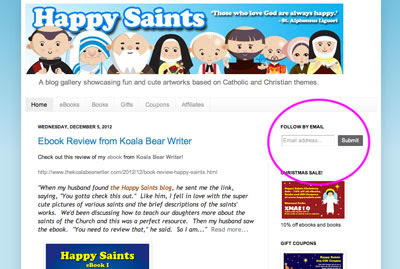 You can now follow Happy Saints by Email! Just submit your email on the right menu and you will get updates through email whenever there are new posts! Thanks to Prudence Zavala for suggesting this feature!